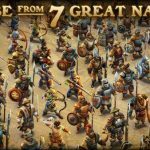 Nexon M’s DomiNations is an exciting strategy game for iOS and Android devices, and just in case you’re just joining us for these DomiNations strategies, this game is quite reminiscent of Civilization for PC gamers. In the game you’re competing against players from all over the world, raiding their bases and sending your troops off to battle against them, while they do the same. 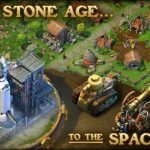 You start DomiNations in the Stone Age and make your way to the Space Age, but somewhere in between, you’ll be tackling the Classical Age as well. And there are several Wonders you can build for your base, each of them with their own special qualities. So with that said, let’s take a look at DomiNations’ Classical Age wonders, the different options and their corresponding qualities. 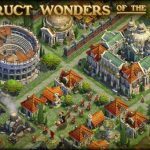 By building a Colosseum, you get eight defenders whenever you’re attacked, and you also get the Strength of the Gladiator bonus, which can be used once a day to give your troops a much-needed boost in the battlefield. The Colosseum also gets influenced by the Acropolis, if your nation has that wonder as well. If you build the Forbidden City, you get bonus food once a day, as this Wonder serves as a secondary Town Center. This makes it more difficult for opposing nations to have five-star battles against your army. Building this Wonder can save you 10 percent on both Library Technologies and Unit Upgrades. The Terra Cotta Army can be summoned once per day, and having this Wonder boosts hit points for both Castles and Barracks, as long as they’re in the areas of effect. As of this version of DomiNations, you get ten Soldiers and ten Archers added to your army when you summon them. Each of the four Wonders mentioned above has their share of benefits, but the Forbidden City is, for many, the weakest of the four. When it comes to medal farming, it saves your base a meager one star, which really isn’t much if you come to think about it. A 10 percent discount on Unit Upgrades and Library Technologies may not sound like much, but in the long run, you can save a great deal in resources by having this in place. In DomiNations, you’ll be doing a lot of fighting, a lot of raiding, and you can’t go wrong with the benefits the Colosseum provides. You get a daily bonus when attacking, and that can really be of help when you’re taking part in Alliance wars. Furthermore, you get a nice bonus through the extra defenders you get when you’re on the defensive end. With all that said, the Colosseum is arguably the best of the four Wonders you can build in DomiNations’ Classical Age. We’ve compiled a detailed guide on the Terra Cotta Army, so if you’re interested in this wonder, we suggest you to check out our comprehensive guide.